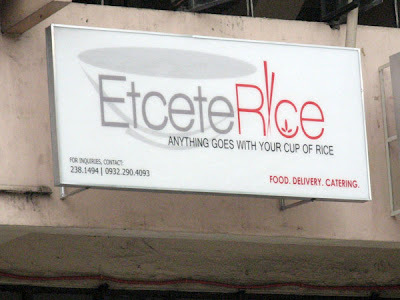 Anything goes with your cup of rice. For more amusing business names, please visit Go Random. and habalhabal, tricycle, pedicab, and pumpboat rides in between. Details on these beauty t(r)ips as soon as I get the cogs on my brain working. Putting a trip (this trip!) that happened five months ago on paper is hard work. I need to oil these rusty cogs real good. Boy, oh, boy, imagine my glee when I found the book I have been looking for since reading Going Solo. I immensely enjoy Roald Dahl's works and this is no exception. Boy Tales of Childhood tells of Roald Dahl's amusing childhood (clearly says so on the title) in a language easily understood but not at all boring. Roald Dahl has the gift of telling even the simplest of stories in a funny way. It says on the first page that this is not an autobiography but a sort of collection of moments that he could never forget. And it will be one book you, yourself, will not forget. No, I will not spill the beans and tell you what those moments are, and no, don't google them. Just pick up the book and start reading. For more book recommendations, please visit Go Read. Back when I was a wee kid, my parents used to bring home batchoy from Carlo's (are they still any good?) after work and every member of the family would sit at the round table cleaning up their bowls and licking the last drops of broth. That's how my parents trained us to like batchoy. So, yeah, I like batchoy. I eat batchoy wherever there's batchoy. 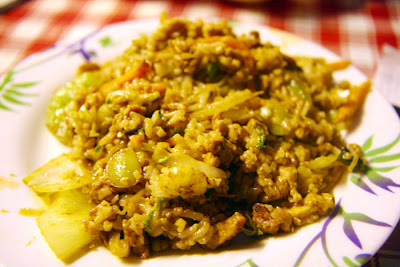 Iloilo, the homeland of La Paz batchoy. In a posh looking restaurant in Bacolod. Ted's at APM Mall in Cebu. And now, thanks to my very reliable source for food news, I got word that Island Grill has batchoy. Might be old news to you. But it's news to me. Island Grill offers grilled fare, thus the name, and other Filipino favorites (sorry, can't elaborate, I was like a horse with blinders, all I saw was batchoy). They have Batchoy Special and Batchoy Mega, with a 9–peso difference—for the size and nothing else (according to the server). You can request to add an egg for...I don't know how much. The night I decided to eat at Island Grill in Ayala Center, every seat was taken. Food here must be good then. My mother, who is from Iloilo, thinks Island Grill's batchoy is better than Ted's (in APM). I trust her opinion. She is from the homeland of batchoy after all. 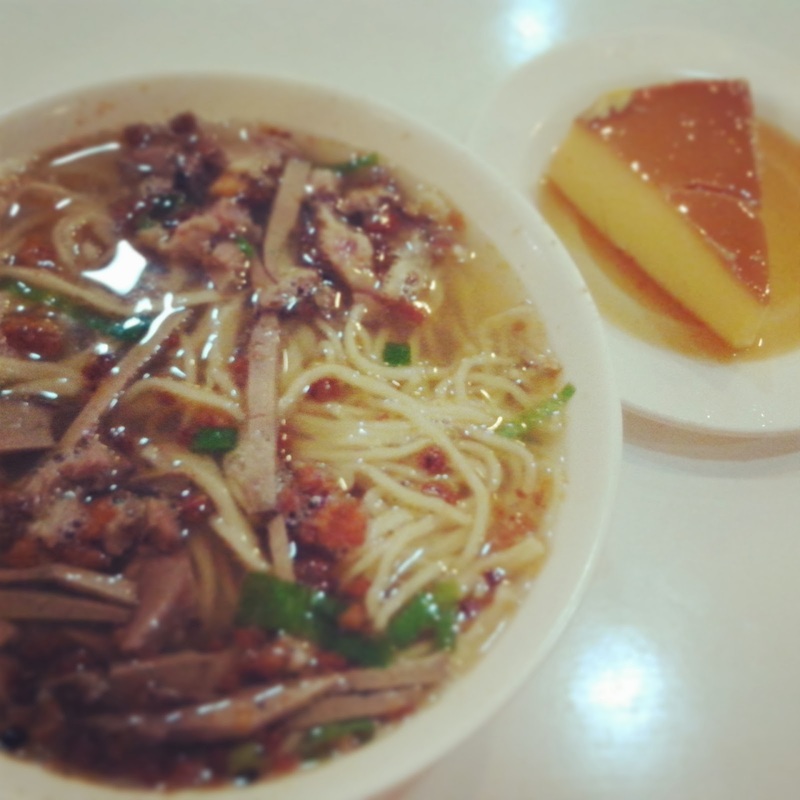 I bet you like batchoy, too. If you don't, then thank you for still reading this. A friend who claims ChickeNamit, a restaurant in Mabolo, offers chicken inasal that's as good as the chicken inasal in Bacolod made me want to try it out myself. And try it out I did. Te, ano, namit man gid ang ChickeNamit? 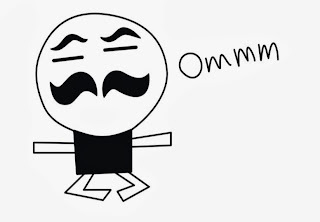 (So, is ChickeNamit really delicious?) I guess I was expecting the chicken to taste like Aida's in Manokan Country in Bacolod and the cansi to taste like Sharyn's Cansi, also in Bacolod, that ChickeNamit kind of disappointed me. (One of my lessons from the road I, myself, did not heed.) Although the soup did not satisfy like how Sharyn's did, I did like the sourness of the soup, but did not like the beef parts they used. As for the chicken, my friend thinks Mang Inasal's is better. On the upside, I was happily surprised that their iced tea was raspberry, just like Bigby's, but for only Php 15. 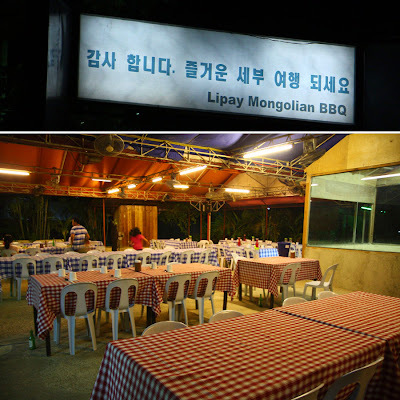 Lipay Mongolian BBQ is an all-you-can-eat make-your-own bowl (or bowls for the big eater) of Mongolian BBQ (meat, vegetables, and rice cooked on a griddle...nothing barbecue-y about this). You can choose what to heap on your bowl from a variety of vegetables, meats (pork, chicken, beef), and sauces. Your bowl doesn't have to overflow, you can make a new one later (it is all-you-can-eat after all). If you are not sure what's a good combination of sauces, you can ask the server to mix up some good stuff for you. 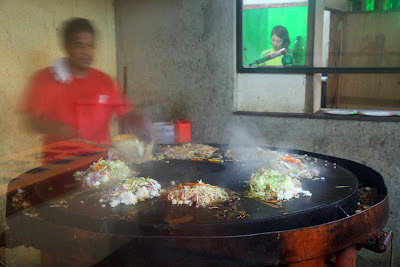 Cooking the customers' creations on the griddle. Don't worry, the griddle expert won't mix up the orders. He's systematic. 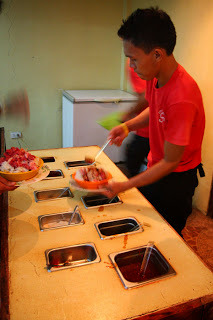 For the price of Php 350 per person, one can already have as many Mongolian BBQ bowls as one can consume, plus a serving of soup, barbecue (chicken, pork, okra), pork belly, gambas, pineapple slices, and a drink (softdrinks or beer). Tip: Go in a group, you'll get more barbecue and other stuff. I am not sure what they will serve or how much they will serve for just one diner. Nalipay ba ko pagkaon nako diri? I did not get my money's worth because after one bowl, I was already full! But my sister, my sister who does not eat much, had more bowls than her husband! It's either she hadn't had breakfast or lunch or this really is her kind of food. Best to eat here if you know your sauce combo or think you can eat three or more bowls of Mongolian BBQ. 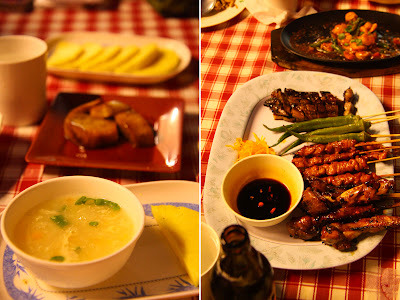 A friend who was invited to try Choi City's new dishes was kind enough to invite me along. She probably needed another mouth to help clean the plates. Whether it was my company or my mouth's ability to clean plates, I am grateful that I was the chosen one. I liked the fried rice but I honestly couldn't recall anything special about it. The olive oil, maybe? That's probably a plus for the health conscious. I think the lapu-lapu fillet with garlic was the best of the five that night. It was the first dish to empty! Tendon chewers, like my father, would probably love the beef tendon hotpot (all tendon and radish). I would rather eat the radish. And ox tripe would please my sister, who likes eating these little towel–like things. The chicken and herbs was okay. In the end, a loud burp was in order. Thanks for the second dinner, Choi City! My only regret is that I did not eat this in a hungry state. ♦ I can't tell you the price of each dish because I don't know. Sorry. 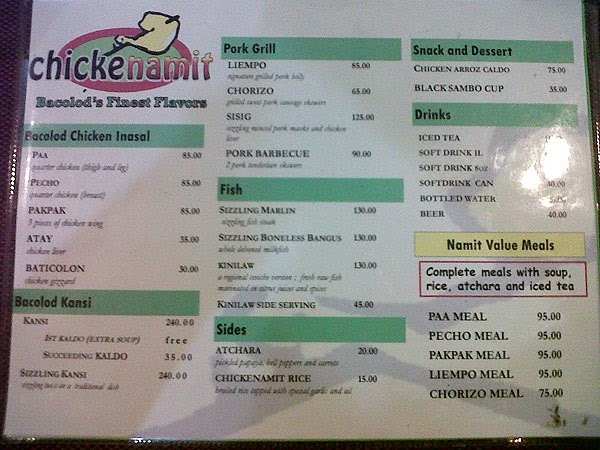 ♦ I'm gonna guess the price for each dish is between Php 150 to Php 400. Pretty wide range. Sorry. ♦ I just wasted your time with this very vague "review." Sorry. I walked into Homebakers planning to spend 50 pesos for some snacks. 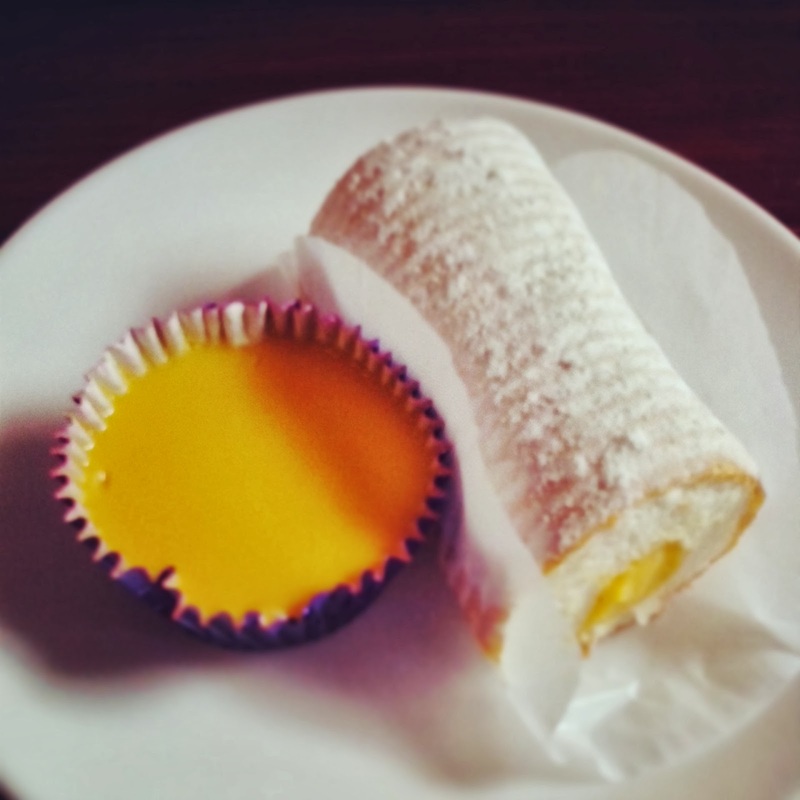 I got a cielito and a mini brazo de mercedes which they call a mercedita. When the cashier rang up my bill, I was taken aback that it totaled to Php 87. Ah, this is what I get for not following my own advice. Might as well enjoy my pricey snacks. The cielito tastes like a coconut macaroon with leche flan on top. A pretty good combination, but a bit too sweet. Homebakers has really good brazo de mercedes but I can't say it was worth its price. Php 50 for just a mini roll? I think I'll go buy the half roll from Casilda's. Is this pricey for you? 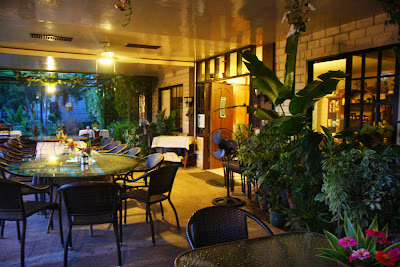 If it is not just my imagination, I think I have seen Borussia, a German restaurant, in Cebu City a long, long time ago (do not try and guess my age). 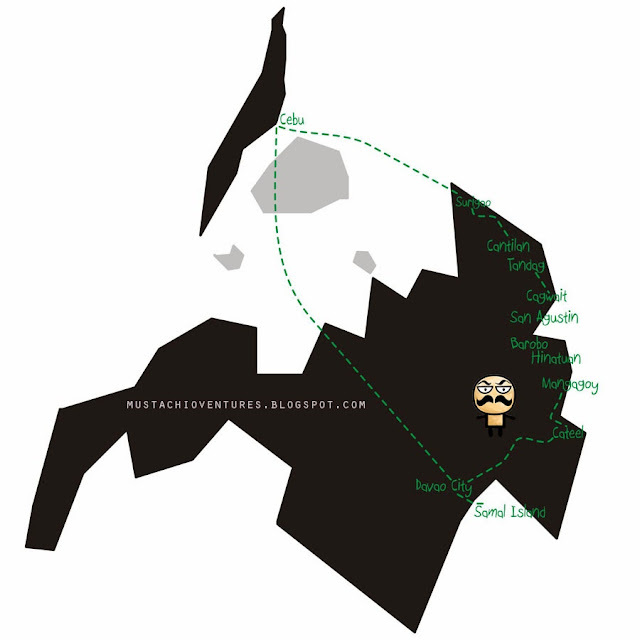 I don't know when Borussia transferred to Sogod, but I did not travel 57 kilometers from Cebu City to find out. Instead, it was to finally satisfy my curiosity after passing by the large "Borussia German Restaurant, Deli & Bread" sign along the highway in northern Cebu several times. And, as it happens, to satisfy my (and the rest of the group's) hunger as we have been on the road for almost six hours (six hours for just 57 kilometers? We made many stops, two of which were Mt Uragay Spring in Carmen and Torta og Uban Pa in Catmon). I had a piece of knusper (bread with various grains and seeds) and the Mediterranean sausage with sauerkraut and mashed potato. Why the Mediterranean sausage? Because 1) it is under the heading "Very German Menu" and 2) it is the German owner's favorite (says the server). We had a bit of each other's food and I liked my dish best—the Mediterranean sausage was the tastiest among the three (sausages) and I loved the sauerkraut (pickled cabbage). I found the sauce of the currywurst weird (research told me that it's curry plus ketchup), though half of the group liked the currywurst best. The frikadelle, which is like a flattened meatball, wasn't anything special. 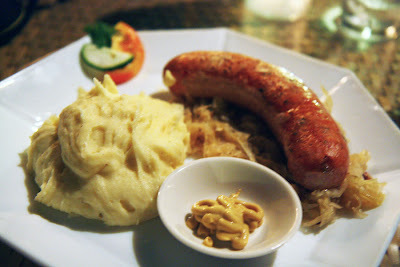 I would go back to Borussia only when the craving for Mediterranean sausage and saurkraut is a matter of life and death. But then, if I do go back, it would also mean sure death for my wallet. That dish is expensive (Php 240)! Do not judge Junior by his looks for looks can be very deceiving. 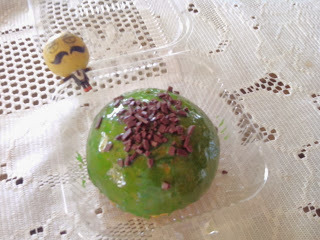 Chewy Junior looks plain. Chewy Junior looks boring. Even his house (the shop) looks meh. Tiramisu deluxe (left) and chocolate Oreo crunch (right). Plainness emphasized by my crappy photo. But, my, my, my, once in the maw, Chewy Junior creates a jolly good time! These were all waiting to be picked up. I had to wait for my cream puffs to be made. Very happy with the cream puffs, I bought two more to take home and was so excited to let whoever was at home try it. Once home, I headed straight to the refrigerator to let my cream puffs chill (it is best served chilled), and what do I find? 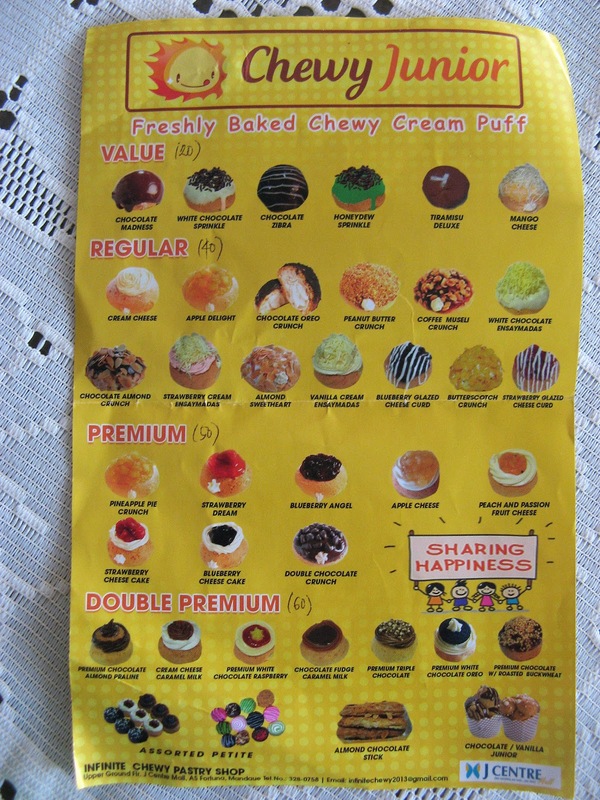 A box of Chewy Junior cream puffs! Somebody beat me to the punch! 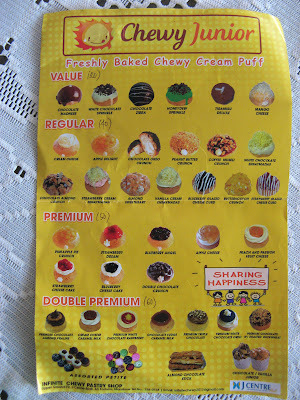 Chewy Junior cream puffs from Php 20 to Php 60. There are four different fillings: chocolate, vanilla, butterscotch, and peanut butter. 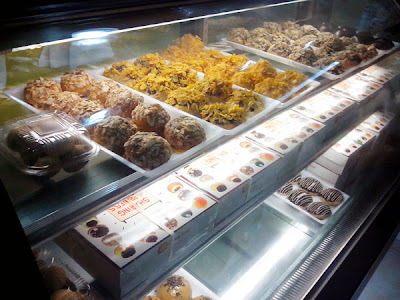 Only after I googled Chewy Junior and found Babe for Food's post from 2011 did I realize that I have often passed by Chewy Junior near the cinemas in SM City Cebu (that branch is now a goner). 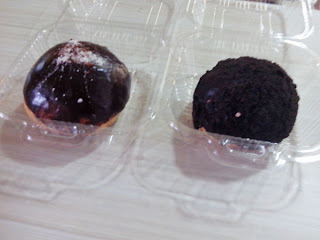 Why did it take me so long to have the courage to get to know you, Chewy Junior? We could have been best buddies. Who's Your Daddy? Big Daddy! I, first, would get out of its way. Second, run after it. Then, third, meet it head on, or maybe meet it on the passenger side door to place my order. 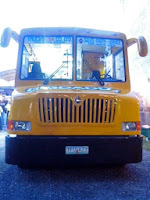 That's only if the big yellow bus is Big Daddy, the food truck offering burgers, hotdogs, pasta, and milkshakes. This very American concept is Creative Cuisine's newest member of the family. He joins his Chinese brother (Big Mao), Filipino sister (Chikaan), and mother baker of unknown descent, Kaffee Alde, in serving Cebu culinary delights. As much as I would like to try everything on the menu (this is Creative Cuisine, after all, and I expect everything to be tasty), my stomach can only accept half a burger, half of the pasta, a piece of leche fritos, and bits and pieces of my neighbor's food. From left to right: leche fritos, gambas pasta, and Tokyo Sun burger. The gambas pasta (Php 210) was perfect. The Tokyo Sun burger (Php 160) was generously sprinkled with nori (I love nori). The peanut butter milkshake (Php 130) was indeed peanut butter...just through a straw...but I think only peanut butter lovers would appreciate this. Leche fritos (fried milk!) seemed a bit weird to me. Like the peanut butter milkshake, leche fritos isn't for everyone. 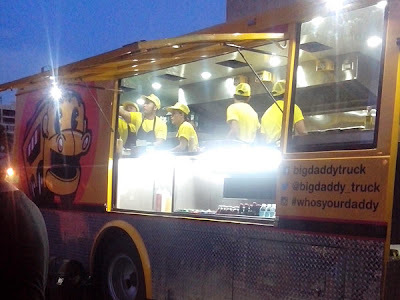 Big Daddy fries (Php 70) were crisp shoestring fries (I expected it to be fat floppy fries...blame it on that adjective attached to its name). I managed to try all of these by coming up with a not so brilliant idea: to share with a friend...and a stranger (aka the "neighbor" previously mentioned). I stood beside a stranger and offered him my food. While he tried the pasta and the leche fritos (but avoided my saliva-laced burger), I sneakily got some of his Big Daddy fries. When he left the table, I bravely continued reaching for the fries. But he came back and caught me red handed with greasy fingers and a mouthful of fries. I grinned (with, I imagine, shoestring fries sticking through my teeth) and sheepishly said, "I ate your fries. Now, who's your daddy?" 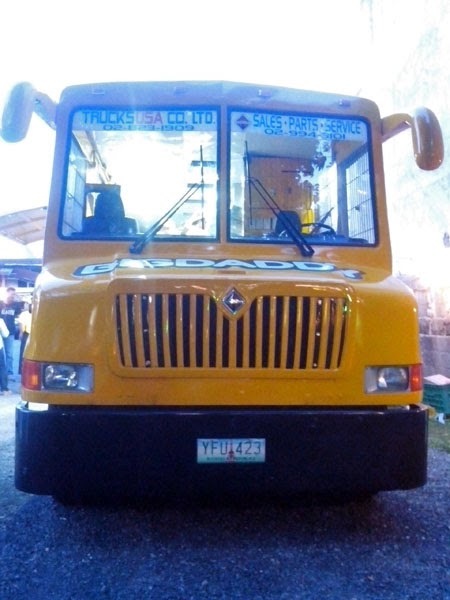 For corporate functions and private events with the truck, call Creative Cuisine Gourmet Group at (032) 511-5410. I don't mean do yoga, although that would probably help you climb through bus windows easily if you want to behave like a monkey and fight your way to a seat during the peak holiday seasons. I mean be flexible in your plans. You don't have to gripe and bawl and pull out all your hair if your plan goes into pieces. For more lessons from the road, please visit Go Learn.